Chiropractic can align your best golf game ever! Fall may be here; however, improvement to your golf game is never out of season. Often golfers feel that their greatest challenge to their game is the psychology of the game. However, it can be a mistake to undervalue the biomechanics and conditioning that are required to play the game well. This eventually leads to poor play or injury. Exertion on the spine during a golf swing is a compressive force – up to 10 times a person’s body weight. Every joint involved in the swing is taken through its maximum range of motion and if the body is not properly aligned to handle these forces, injury will eventually result. 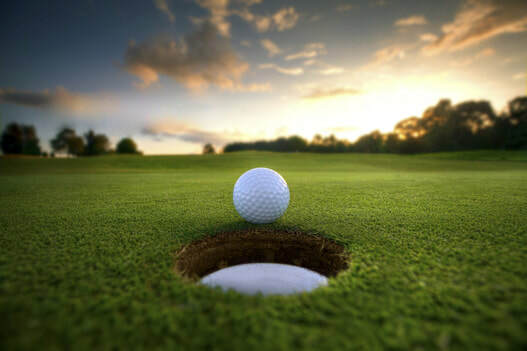 Golf is not that difficult, but instructors will tell you that a player’s lack of fitness, conditioning and complete body alignment is a barrier to improved performance. The American Chiropractic Association reports in an article written by Mark Crawford, January 07, 2016, elbow pain is a common complaint among many amateurs when they bend their elbow during the backswing, then hyperextend the elbow during the downswing. For pros, wrist injuries are seen, because players have to hit the ball wherever it lies, in the sand, weeds or someone’s backyard. The most common complaint I hear is back pain, resulting from an ineffective, repetitive swing resulting in too much stress on the back. Neck, shoulder, and hip pain are also frequent complaints among golfers. Regular chiropractic care is an effective solution for golfers who seek to rid themselves of pain and have a successful and enjoyable game. Stay tuned for the next blog “It’s all in the swing” so you can learn to avoid the pain and play a more efficient game.